How to add Payment Processor? How to use this for our needs? 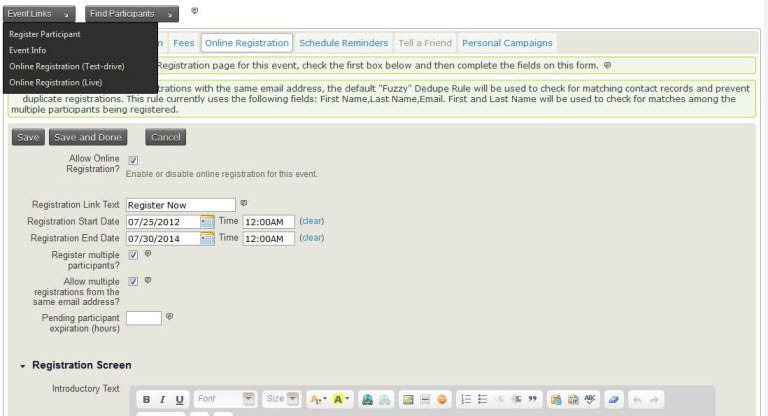 How to set up an event for registration? Make sure to dump all the downloaded files from below link to your Joomla project folder, follow the same file structure. Copy all the files from our package to your civicrm folder into corresponding folders as above. In Profile tab>API Information copy the information needed for the above screen. 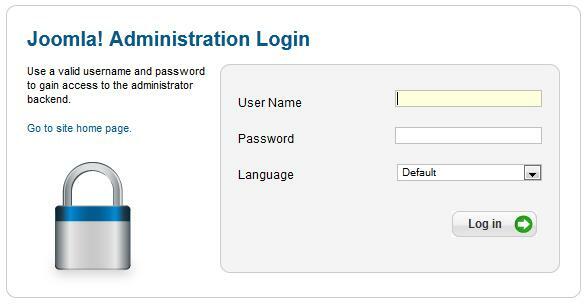 Enter required details then click on ‘continue’ button. Then click on ‘Fees’ tab it will display following screen. When you click on ‘Yes’ for ‘Paid Event’ option then there you can select currency from ‘Currency’ drop down , ‘Click & Pledge’ from ‘Payment Processor’ drop down and can enter other required information. 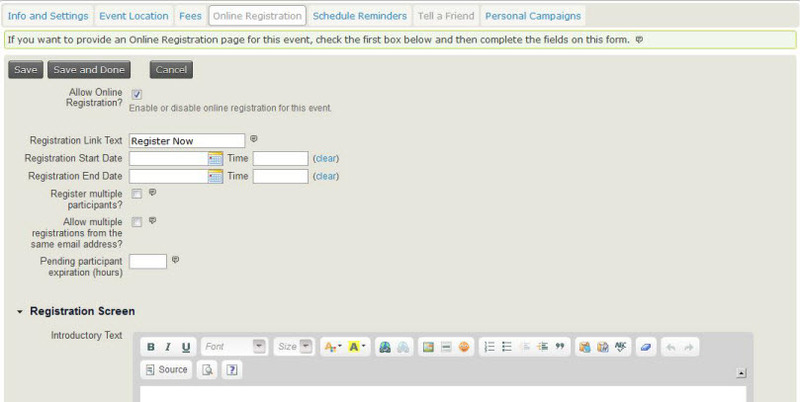 Click on ‘Online Registration’ tab, check ‘Allow Online Registration?’ option, then you can enter online registration details like registration start and end dates. Enter required details then click on ‘Continue>>’ button. It will display following screen. 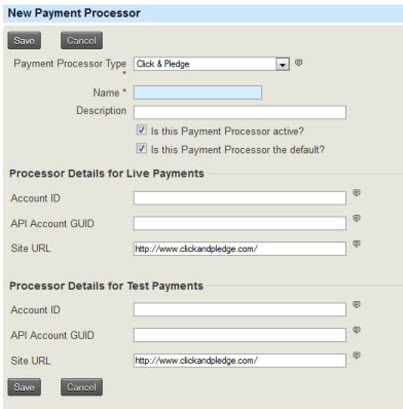 Here you can select currency, payment processor (see above How to add payment processor?) and can select other options like amount, etc. If you wish you can set other options like Memberships, Receipt, Tell a Friend, etc. 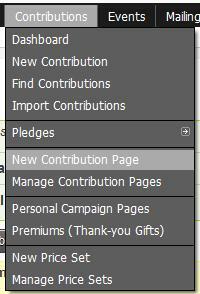 After setting ‘Amounts’ option, click on ‘Contribution Links’ it will display links for testing application. 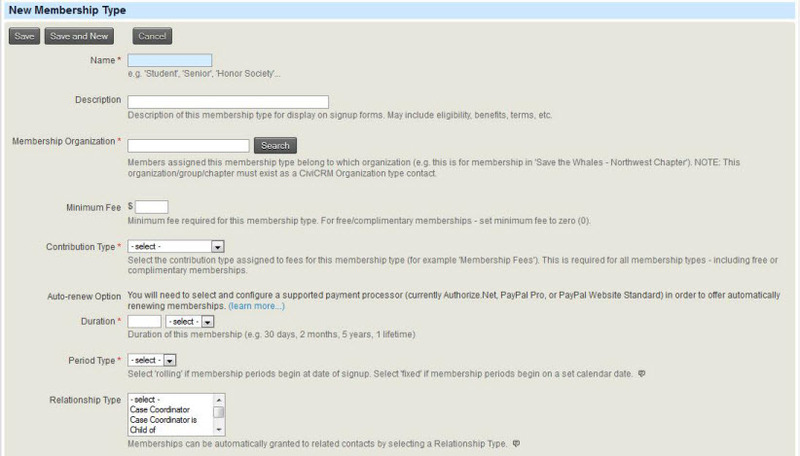 From the screen you can enter name of membership, membership organization, etc. NOTE: ‘Membership Organization’ must exist as a CiviCRM Organization type contact.